Kenichi Woodworking's signature design is the Uki (Japanese for floating) Table. Custom tig welded legs give these tables the illusion of a floating top. Available in coffee, dining and conference room sizes. Customize your metal color and wood species. Fully customizable coffee tables to fit your living space. Choose your wood species and metal color/finish. Shown here in solid walnut top with our signature Koa detail found in an accent border. Tig welded rectangular tube steel legs sand-blasted and finished with a gun blue. Fully customizable dining room, conference tables and desks to fit your home or office space. Choose your wood species and metal color/finish. 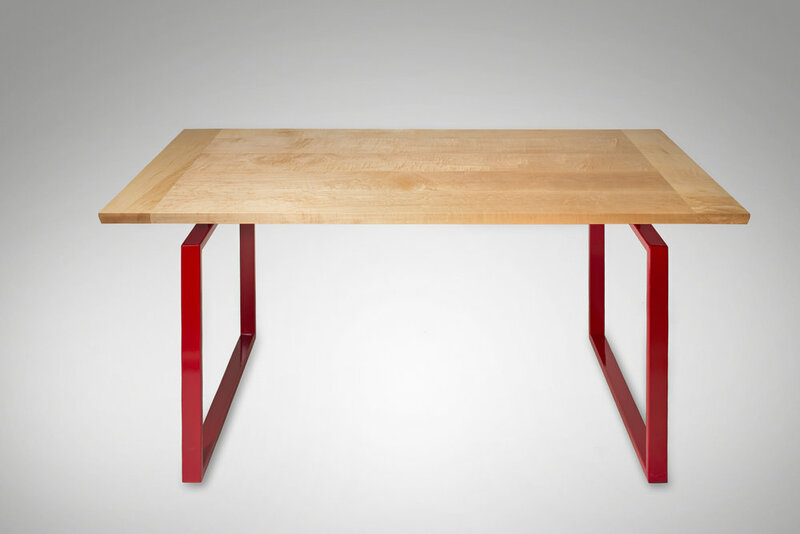 Shown here with a solid maple top and tig welded rectangular tube steel legs powder coated bright red.